Please join us at our Riverside Woman’s Club monthly meeting. The meeting is FREE but should you choose to buy a catered meal it is $15 or you can bring your own meal. To reserve a meal for this event contact Dulcea Sawhill at rwomansclub@gmail.com. Deadline to RSVP for the May meeting meal is May 9, 2019. ​We meet at the Riverside Woman's Clubhouse located at 4092 10th Street (the corner of Brockton and 10th St.) in downtown Riverside. Everyone is welcome! For more information contact Robbie Kennedy at RobbKenn1@aol.com - (951) 780-3485. 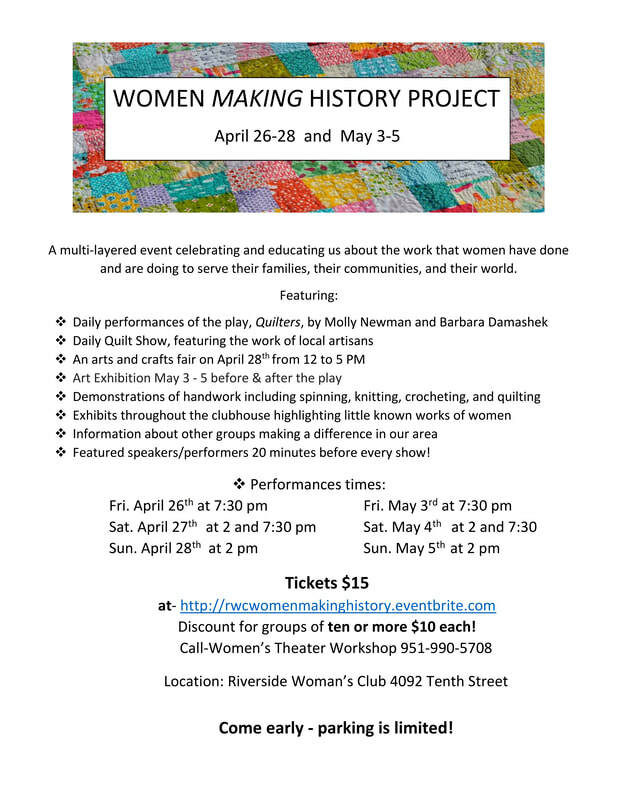 Please join us at our Riverside Woman’s Club monthly meeting. 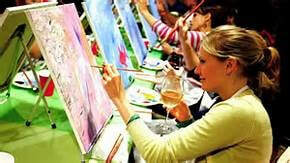 Enjoy a night of fun Wine and Paint Night! Do not feel that you have to be an artist to attend. I cannot draw a stick figure and was hesitate to come to our last Wine & Paint. I was amazed at what I was able to do. Amanda, our artist is so patient and goes very slowly in her instructions. Believe it or not, my painting is hanging in our house. The experience was so much fun! As far as beverages go, wine is not the only drink of choice, we will have other beverage. If you want to drink wine, please bring a bottle of wine.